Their role may be cause for consternation, but there's no denying their imprint. When CityMD Urgent Care physicians enter exam rooms, a medical scribe stands ready to capture the narrative of the visit as it unfolds. The clinical team at CityMD has embraced scribes, who have been part of the environment ever since the urgent care practice launched in 2010. "From day one, physicians realized the value. There was no push back. They knew this was a positive [addition] and were happy to hear we were using scribes and understand how they maximize efficiency," says Tushar Kapoor, MD, FACEP, executive vice president of staff development for CityMD, which has approximately 340 scribes at 55 locations throughout New York and New Jersey. "As a physician, I don't want to look at a computer screen when I'm seeing a patient. I want to look at the patient. I want them to know they have my undivided attention. Scribes are the key to that." CityMD is at the forefront of the trend, which today encompasses more than 20,000 scribes, approximately 17,000 of whom are certified through the American College of Medical Scribe Specialists (ACMSS). By 2020, that number is expected to reach 100,000 as scribes become increasingly engrained in the fabric of clinical workflow documenting patient encounters, gathering data such as lab and radiology results, editing medical histories, and scheduling and receiving patients. Kapoor, treasurer of the ACMSS board of directors, says CityMD scribes are as much a part of the clinical team as the physicians, nurses, and medical and radiology technicians. As such, they are just as responsible for ensuring an excellent patient experience as any other staff member, whether that involves fetching a thirsty patient a glass of water, keeping patients apprised of wait times, or serving as liaison between the physician and other team members. CityMD hires and trains its scribes rather than utilize one of the growing number of companies that outsource scribes. Its training regimen takes place at a dedicated facility featuring five state-of-the-art rooms equipped with all the necessary resources, including mock exam rooms for hands-on patient encounter experiences. Once training is complete, scribes are handed off to the quality assurance (QA) team that evaluates their on-site work. "We put quality at a very high level in everything we do … so we have a very robust QA program," Kapoor says. "Charts are audited on a routine basis—at least monthly for scribes. Feedback is provided on what scribes are doing well and any areas for improvement. This lets our scribes move from good to excellent." CityMD is not alone in its enthusiasm for scribes. Emergency Care Specialists, PC (ECS) has also experienced the positive contributions scribes make to the care process. Based in Grand Rapids, Michigan, ECS provides emergency services to hospitals throughout the Midwest. 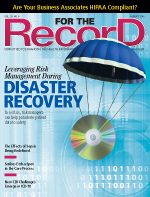 The scribe program was launched in response to increased demands for point-of-care EMR documentation that threatened to cut into the time physicians had to interact with patients. "By having the medical scribes do the charting in the room during the patient encounters, providers can be more engaging and efficient," says Julie Alles-Grice, MSCTE, RHIA, an assistant professor and HIM program director at Grand Valley State University's (GVSU) College of Health Professions, which partnered with ECS to found the GVSU Scribes Academy. "The scribes are trained to write the history of present illness, physical exams, procedures, and medical decision making so by the end of the shift the providers review the patient records, make edits, and add their attestation. Scribes add efficiency to the practice to a degree that the added benefits outweigh the costs." When the ECS scribe program launched, only about one-half the physicians greeted it with much enthusiasm. A year and more than 50 scribes later, the approval rate is 95%. That acceptance was enough to convince the practice to consider expanding the scribes program beyond its Grand Rapids facilities. According to Alles-Grice, because scribes are trained on proper code selection and all coding is verified by an ECS biller, "Scribes implement standardization to the charting process with the electronic medical record. Scribes help decrease the time providers spend after a shift documenting, aiding with provider satisfaction." The positive impact of scribes on clinical workflow has also been demonstrated in several studies. Among these are research published in the May–June 2015 issue of the Journal of the American Board of Family Medicine, which found that "available evidence suggests medical scribes may improve clinician satisfaction, productivity, time-related efficiencies, revenue, and patient-clinician interactions," and a September 2015 study in the journal ClinicoEconomics and Outcomes Research, which found that scribes increased physician productivity in a cardiology clinic by more than 10%, resulting in 84 new and 423 additional follow-up patients seen in one year, as well as 3,029 additional work relative value units and an annual revenue increase of $1,372,694 at a cost of $98,588. By speeding and improving documentation, certified medical scribes are helping to accelerate adoption of standardized care and evidence-based medicine, which in turn is enabling providers to focus more broadly on wellness and integrated medicine, according to ACMSS Executive Director of Clinical Informatics/Wellness Kristin Hagen, CPEHR, CPHIE, CPHIT, CMSS, who notes that certified medical scribes help organizations "use the integrity of the data to guide sustainable outcomes." According to information from ACMSS, certified scribes "elevate the nation to reach its goals" involving EHRs, PHRs, and telemedicine. They "enable efficiencies, newer patient care models, direct doctor-patient time, and allow [the] team to focus on meeting regulatory requirements and documentation compliance in innovation." Hagen says ACMSS is collaborating with several organizations to expand its reach into integrative medicine and preventive wellness and outcomes. It is now accepting applications for the Commission on Accreditation of Allied Health Education Program, which accredits more than 2,000 academic programs and is a nonprofit partner of HIMSS, clinical medical group associations, and wellness organizations. "We collaborate with other nonprofits and specialties and act as a resource for physicians. We are all working together," Hagen says. "At the end of the day, it's the doctor, the patient, and the scribe … building that pathway to wellness." Despite the positives, there are nonetheless concerns about extensive use of scribes. Among the most significant is the lack of standards and oversight—scribes are not licensed and ACMSS certification is voluntary. There are several regulatory limits in place. For example, the Centers for Medicare & Medicaid Services (CMS) says there must be clear evidence that the physician reviewed and confirmed the documentation transcribed by the scribe. Further, pursuant to the Medicare documentation guidelines, independent documentation is limited to "review of systems" and "past family and social history." This precludes scribes from entering orders, which, if allowed, CMS notes, "potentially removes the possibility of clinical decision support and advance interaction alerts being presented to someone with clinical judgment, which negates the many benefits of CPOE [computerized physician order entry]." The Joint Commission notes that scribes "may not act independently but can, at the direction of a physician or practitioner … document the previously determined physician's or practitioner's dictation and/or other activities." Surveyors expect to see signed and date/time stamps on all entries made by scribes along with authentication by the physician/practitioner. Also, scribes must comply with HIPAA and HITECH standards. In short, The Joint Commission does not support scribes entering orders "due to the additional risk added to the process." Scribe skeptics point out a lack of enforcement mechanisms in place to ensure adherence to guidelines. Claims may be rejected if the scribe-produced documentation doesn't support the bill and the lack of attestation may affect Joint Commission scores, but many fear those aren't sufficient enough deterrents to stop lines from being crossed. "It would be very easy for that to happen," says Sheila Guston, CHDS, AHDI-F, president-elect and director at-large of the Association for Healthcare Documentation Integrity (AHDI) and HIM document integrity supervisor for Spectrum Health. "They could potentially add a notation that may not have been intended to be added by the provider. It's easy to misstate or change the order of words [and create] a different meaning, whether intentional or unintentional." Guston says safeguards should be in place to ensure scribes don't go beyond their scope, "but I don't know that we can ever truly do that." She notes that while Spectrum does not employ scribes, they are employed by the physician-owned medical group associated with Spectrum. Alles-Grice says it's possible a scribe could attempt to put in orders or falsify records, but it would be an extreme situation that should be addressed during training. "The primary responsibility of the scribe is documentation—that falls under the direct purview of the provider," she says. "In the event the scope of practice for a scribe expands to work more independently industrywide, then perhaps regulations will be necessary. A lot depends on proper training of the scribes and management supports so they have resources in the event of improper coercion for illegal activity." A final criticism of scribes is one that is hotly debated: Using scribes stifles EHR innovation. With scribes handling documentation, the argument goes that physicians will have no incentive to push for better EHR tools. It's a theory Kapoor dismisses. "There will always be an EHR user, even with those practices that have scribes, so you still need an efficient EHR that is easy to use," he says. "It doesn't matter who that user is. If anything, it needs to be easier for scribes because they're learning medical terminology that the provider already knows." Pros and cons notwithstanding, one thing is clear: Medical scribes aren't going to vanish from the health care landscape. Which is why organizations such as ACMSS and GVSU are focused on certification and formalizing training to ensure scribes' contributions align with the goals of improved quality and safety. To become ACMSS certified, scribes must complete 200 hours of clinical employment experience and pass the Medical Scribe Certification & Aptitude test (MSCAT). Certified medical scribe specialists work under a licensed clinician and have a "plug-and-play" approach to the variable clinical and nonclinical skill sets approved by CMS to innovate practices and physician workflow. Those who do not have the requisite hours of experience but do pass the MSCAT are recognized as certified medical scribe apprentices until they meet the requirement. Exceptions are made for licensed practical nurses, registered nurses, paramedics, certified medical assistants, and graduates of a clinical training program, who are awarded certification upon successfully completing 50 hours of clinical experience. "It's not enough to just document; scribes must also understand the workflow, ancillary roles [and] how to properly document and the importance of documentation," Hagen says. "There is a misunderstanding that anyone can document. That's just not true. … CMS specifically asks that practices recognize that the scribes they utilize be certified. Together, with CMS, we may innovate our nation for the people in quality, patient-centric care." She notes that physicians and scribe employers in tandem should certify eligible staff to help meet government regulations such as meaningful use. "All working in clinical care and documentation are now either certified or licensed protecting our health care system, our people, and our greatest asset—our health. Through CMS, our country is operating off a fully licensed or credentialed workforce," Hagen adds. ACMSS recognizes those academic institutions that meet core curriculum requirements along with medical scribe curricula in preclinical and clinical education as certified academic partners. GVSU's program features 65 hours of classroom and online content. Clinical training includes five shifts totaling 40 hours in which students work alongside a full-time scribe in an emergency department. The program itself is free, but graduates must commit to work two eight-hour shifts per week for a minimum of 18 months at ECS facilities. "The GVSU Scribe Academy is a great opportunity for clinical and administrative students in health care to obtain exposure to a health care setting," Alles-Grice says. "For some students, this is an opportunity that can be applied to their volunteer hours for their program. For others, it is a great experience to obtain knowledge and understanding of how the emergency department operates, both clinically and administratively." Guston says the AHDI appreciates the growing need for scribes, but wants more controls in place. AHDI also advocates helping transcriptionists move into scribe roles so they can leverage their deep knowledge of clinical terminology and the medical record to move the profession forward. However, because the role is aimed at medical students who work part time and for an average of just 18 months, the low compensation makes it difficult for an experienced transcriptionist to view it as a long-term career prospect—unless salaries should increase. In the meantime, Guston believes the bottom line is to take care of the patient. "More is continually being expected of providers in terms of documentation; they don't have time for it. We want them focused on patient care and we need to let the people who are experts focus on the documentation. Scribes are somewhere in between," she says. No matter the feelings on the use of scribes, it doesn't appear they'll be going anywhere anytime soon. "As long as there is some sort of quality control program in place to review their documentation, [scribe utilization] will continue to expand," Guston says.